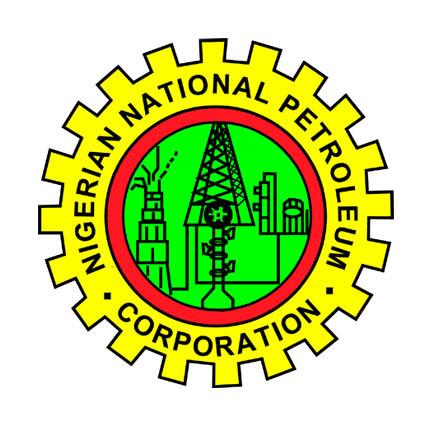 Every year, the Nigerian National Petroleum Corporation (NNPC), and Total Upstream Companies in Nigeria (TUCN) award scholarships to deserving Nigerian students in the tertiary institutions in the country. The programme, NNPC/TUCN National Merit Scholarship Awards, is aimed at promoting academic excellence and quality manpower development in the Country. This is one of the the many ways Total demonstrates its commitment to the educational development of Nigerian students. This is part of Total’s rich Corporate Social Responsibility. This scholarship scheme has been successfully carried out over the years, and Total Upstream Nigeria Limited (TUPNI), in pursuance of it’s Corporate Social Responsibility, hereby invites applications from suitably qualified Nigerian undergraduates for the 2018/2019 National Merit Scholarship (formerly known as, Nigeria Tertiary Institutions Scholarships). It is important to read the Conditions of Award, and also to visit the official website (link to it is below) for complete information for your application. All applications will close four weeks from the initial date of this publication i.e. on or before October 31, 2018. Selection tests will hold on 1st December 2018 at designated centres nationwide which will be communicated to shortlisted candidates only. Please note that only short listed candidates will be contacted for the tests. Candidates will fully bear the cost of transportation to and from test venue as no reimbursement shall be made. Candidates are therefore advised to choose the test center closest to them. TOTAL S.A. is a French multinational integrated oil and gas company and one of the six "Supermajor" oil companies in the world. The company has its head office in the Tour Total in the La Défense district in Courbevoie, West of Paris. Total Upstream Companies in Nigeria (TUCN) consist of Total Exploration & Production Nigeria Limited (Total E&P Nig Ltd) and Total Upstream Nigeria Limited (TUPNI). @Annonymous, you're quite right about this. But since the link was still active as at yesterday, and several students actually DID apply over the last few days, I'll advice you re-check in the next 24hours. Meanwhile, i have sent the providers a mail seeking explanations on the current situation. You may also wish to send them a mail too. Remain calm, and i am sure this will all work out fine sooner than later. tanx @kool T,dis has really helped! Hello, you can only be in the 1st or 2nd year of your course to apply. No more, no less! Except the providers change this rule. Please, which site or link are we going to fill or complete the form? What is the site please? Please, What is the site or link that we are going to fill or complete the form? Hello, the online form to fill in on the official website (via the link we provided above) was active for about 6 days and many students actually applied. However, for no reason at all that we can deduce, the scholarship providers i.e. total elf, suddenly removed the active link on their site on that 6th day. We've written to them on this and even advised others to write too, but total has refused to offer any explanation. Study & Scholarships is really sorry about this. But we truly cannot coerce any of the scholarship providers to give an explanation if they dont want to. We continue to monitor their site, and would tell you once the link is up and active again. Hello everyone, if you have been unable to apply to this scholarship because of inactive or missing application links on TOTAL E&P website or due to difficulty linking to the TOTAL E&P website, WE ARE PLEASED to announce that all these problems have been rectified. Click on the 'More Scholarship and Application Information' link in the article above to visit the scholarship provider's official application website and apply to this scholarship. The deadline date has also been extended to 3weeks afterwards i.e 23rd April, 2013. Hello, strictly speaking Architecture isn't listed on the approved courses; but i believe it should be one of the Environmental sciences. For this you may need to confirm from your dean or the scholarship providers. Good luck! Architecture is listed under college of science. Hello @Annonymous, to the best of our knowledge, there is no exam relevant to the Nigerian student known as OLVL. Therefore, if you saw this, it must be a typo error. We believe OLVL as you referred to means O'Level. Thus your WAEC and your O'Level result should mean one and the same thing! Goodluck as you upload your documents! thank u @KOOL T,God bless. I'm still unable 2 apply 4 the scholarship... We are asked 2 click on the programme links below bt there is nothing 2 click there..
Hello, please click on the 'More Scholarship and Application Information' link in the article above to visit the official application website. When you get to the official site, click on the 'Apply' navigation link, and then on the 'UNDERGRADUATE' link under 'Programme'. I have just checked these links few moments ago and the links are all working very well and still very active. If you have further queries, please use the contact details in the article above. Goodluck! Thank u sir for ur supports. Pls any idea of de areas the questions shall come from, i had applied! Hello, unfortunately, we have no idea of the nature of the selection test questions. However it will not be outside the scope of what you are expected to know at your current level in the university. For answers more specific and detailed than this, please contact the official providers via the 'CONTACT' address supplied in the article above. Goodluck to you! Sir,can a masscommunication student apply? Am sorry to say that mass comm is not included in the list of eligible courses for this particular scholarship. Sorry to say,,, but i havent seen any scholarship, in the whole site,covering Religion and Social work students,,, is it that the courses are not recognised or what? Hi Rosemary, we welcome constructive criticisms. Thank you for your comment. Scholarships offered under the 'Any field' tag applies to ALL courses including Religion and Social work, if these fields are available as a course at the participating institutions. Although we also have 'Religious scholarships', however, thank you for drawing our attention to the fact that we do not have as many scholarships as may be desirable covering Religion and Social work on their own. We will work over the coming weeks/months to rectify this! The providers spelt out clearly in the above article thus: Please note that only short listed candidates will be contacted for the tests. Thus, after the close of application in May this year, you will be contacted IF you are shortlisted. um..hi. Wil d shortlisted candidatez b jst contacted or wil their namez equally b uploaded online? You will definitely be contacted via the contact details you submitted while applying; however, it is also good you continue to check the provider's official website regularly (via link in the above article). I have done every other thing concerning the application, i have received my pin before the closing date, but i have not completed all the steps. what is my condition? I have received my pin,i have uploaded picture, but i have not completed the sections. what is my condition? Hello...could you be so kind as not to bump this thread? Bumping could get your questions ignored...or even deleted! Posting your question once, ONLY ONCE, would get it answered in due course when one of the admins log onto the site. Please do not bump again. Thanks for understanding! Hello @Annonymous, Total Elf Nigeria (the official providers of this scholarship) made it explicitly clear from the beginning that it will contact ONLY candidates it has shortlisted. Total Elf Nigeria clearly stated: Please note that only short listed candidates will be contacted for the tests. If you have NOT been contacted up til now, it very likely you have NOT been shortlisted by Total Elf Nigeria. For your inquiries and concerns, Total recommends that you should write them at: totalscholarships@cinfores.com OR simply click on 'Post Comments' on the home page of Total website (link to it is in the article above), type in your comments and click 'submit' OR call 08093391616.
pls i wana knw if m outa d race cz v nt bin contacted yet n idk anyone who has bin. So if ders anyone who knws anyone dat has been shortlisted kindly reply fanx. really wow! Wen was d person contacted? I've not gotten any notification about the test,but i've my pin what should i do..? Admin I did not see any link to apply for d scholarship. Please is d application not ongoing? Hello, we apologize for this mix-up. The scholarship applications for 2016/17 have not yet started. It will commence very soon! can polytechnic student apply also? i an not able to continue d registration. i clicked d NEXT button, yet , it did not respond. whats going on. Learn how to study for cpa exam because various types of exams requires different preparation. Admin,when will d scholarship b available 4 dis year?